How cool is this Fiji Hanging lamp via Z Gallerie? 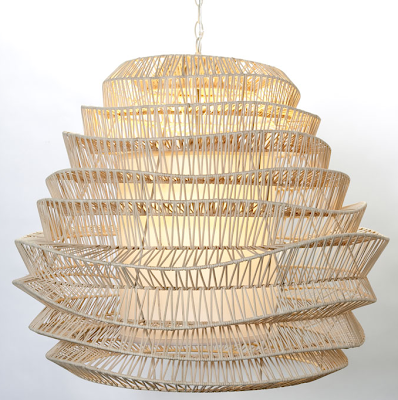 Loving the tiers of sustainable rattan! This would be a fab accent in a small space. 0 Responses to "SMALL SPACE ACCENTS: Sustainable Lighting"